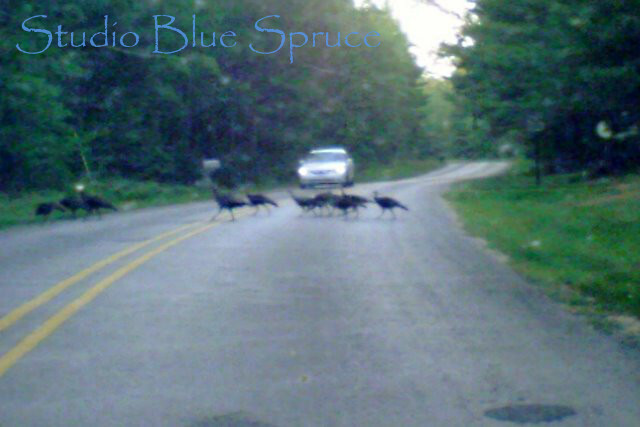 This is a photo I took last year of a flock of Wild Turkeys crossing the road in Michigan. It is not the clearest of photos because I took it through the windshield, and the turkeys were moving at the time. Often turkeys just cross the road whenever they want to, so people have to slow down and wait. It is important to always look to make sure that more turkeys are not waiting to cross, because they are a flock and want to stay together.